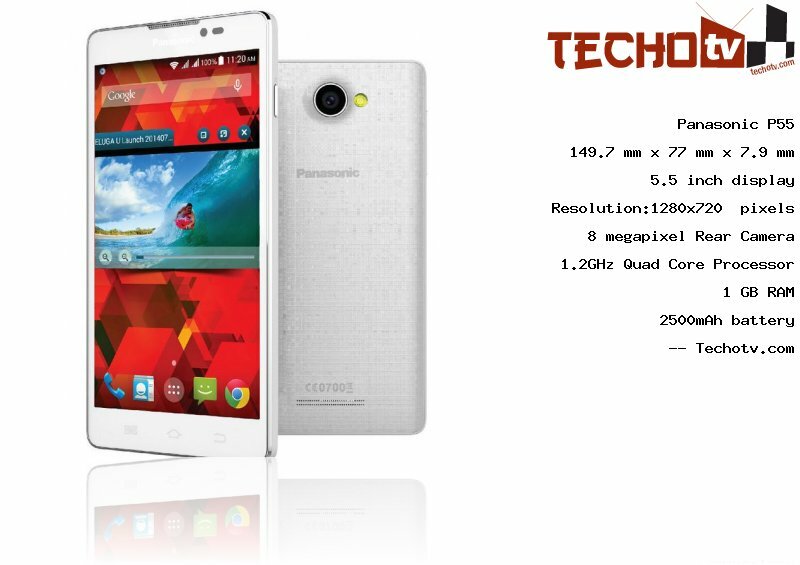 Panasonic has packed 1.2GHz Quad Core processor in it to make it a good performer. It comes with 1GB RAM, which is good. On its 5.5 inch screen, the display resolution is 1280*720 pixels. The pixel density is 267 ppi which is neither bad nor very good. It has physical dimension of 149.7 mm X 77 mm X 7.9 mm. It features about 4 GB as its internal memory. On the back is located a 8 megapixel camera. On the front side, there is 2mp camera also. 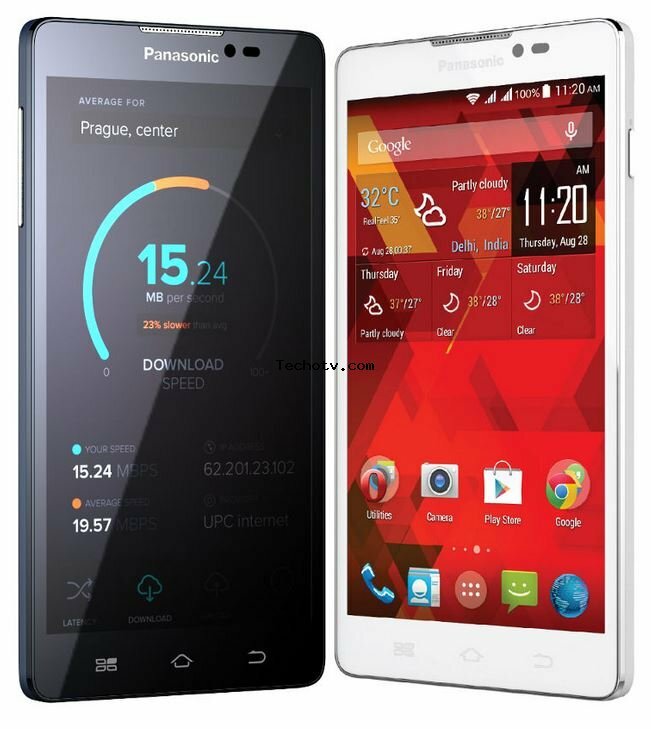 The Price of Panasonic P55 is Rs 10290. More pricing details from different online stores are not available at the moment. sensors - proximity, light, accelerometer. available in black, pearl white colors. features - pop-i-player, music cafe, gesture play, etc.